Often the air in our homes is far more polluted than the outside air, some studies say indoor air is 20 times more polluted. These can come from many things; off-gassing of new products (especially foam and carpets that contain VOCs), paint fumes, cleaning products, inadequate ventilation, dust, mould spores and high carbon dioxide levels from too much time inside. Thankfully most of these can be resolved by: airing the house, heating properly, avoiding products that have fumes (or for new unavoidable items air for a few days outside before bringing in) and by having plants in the home. If you’ve reduced the main culprits a few plants in each room can work very effectively to make a big difference to improve the indoor air quality. Each plant has different abilities for removing toxins so it’s recommended to have a mix of many different plants in your house. The size of your house and ventilation is important when calculating how many plants you need to make a difference to indoor air quality. For a standard modern home I recommend aiming for 1 plant of about 30cm in size for every 3m². You will need more for properties with high sealing or significant drafts. I’ve known people who used to suffer from headaches / sore throats etc associated from sick building syndrome (caused by bad air quality) to heal themselves by introducing plants that improve air quality into their homes. These have for a long time been known for there amazing ability to remove toxic substances from the air. One study by NASA showed that a spider plant removed 95% of toxins in a sealed chamber. However more research has shown that although spider plants are an excellent air purifier certain other plants are just as good and sometimes better. Spider plants are still worthwhile as they grow easily, adapt to most conditions and little care is needed apart from removing brown leaves. 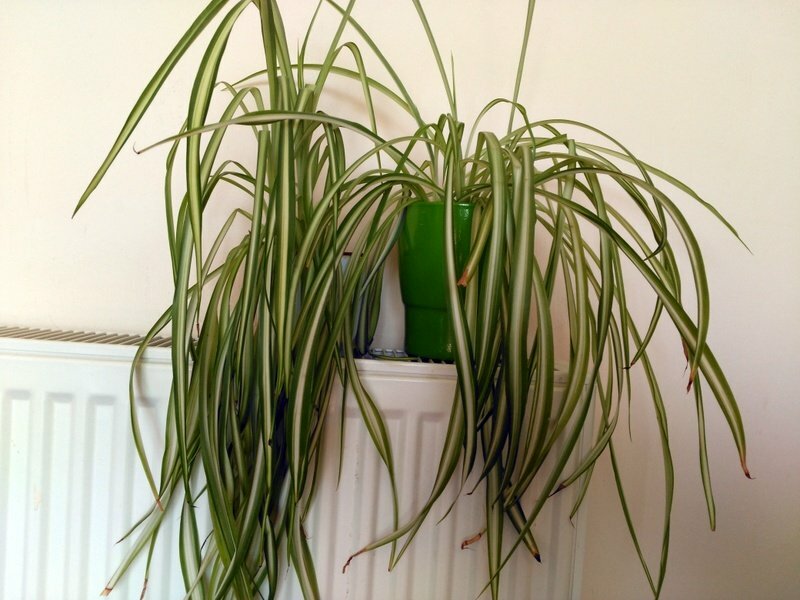 Spider plants like well drained soil, cool temperatures of about 13-18°C, somewhere bright but in indirect sunlight. If well cared for spider plants produce baby spider plants (spiderettes) making it cheap to fill a house with them. Baby spider plants can be grown into separate plants by keeping them attached to the mother plant but putting them in a pot filled with soil. Once the plant roots (4-6 weeks) the baby spider plant can be detached from the mother. They can also be rooted in water or a propagator but I’ve found these are not as effective as rooting in soil. These are easy to grow and like sunny conditions so are suited to growing on a windowsill. The leaves can also be used for a face mask to heal sunburn. Aloe vera is effective at removing the formaldehyde many cleaning products leave behind in the air. 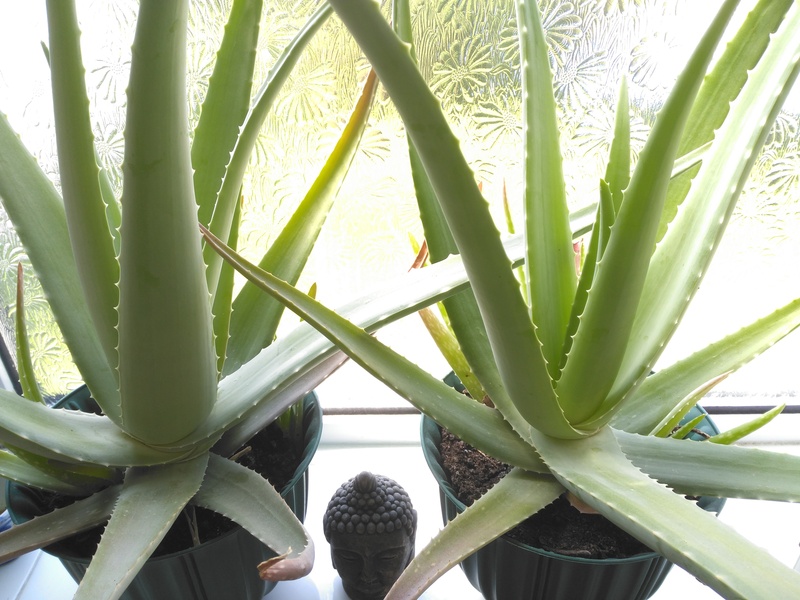 Above are my aloe vera who have flourished on my south facing bathroom window, they are growing so well I keep needing bigger pots. As they are a succulent they only need to be watered once a month. The baby aloe vera plants can supposedly be cut off and rooted in soil. I’ve tried and failed many times so these days I just use the baby aloe vera for home made beauty treatments. These can be bought quite cheaply as small plants and within a few years can grow to 6ft. Bamboo palm can grow in low light room so are ideal for back rooms that don’t get much direct sunlight. They need to be watered every couple of weeks when the top of the soil is dry and dislike being over watered (the most common way to kill it). Research has shown this bamboo palm is best at removing benzene and trichloroethylene. Of all the plants listed this is the only one that may need weekly watering, however it is very forgiving and even if it begins to droop it will recover after a watering. They are still very easy to look after and produce a bright white blossom. 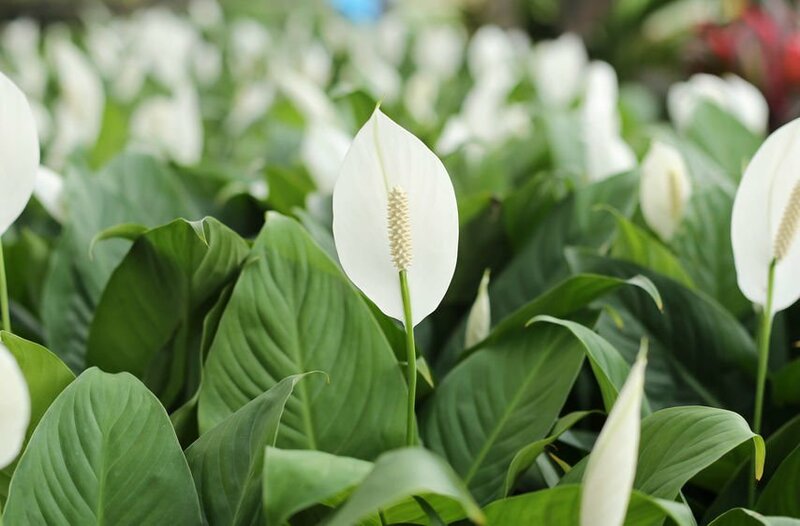 Peace lilies are excellent at removing the VOCs released by paint fumes and new carpets. They come from hot tropical rain forests so prefer somewhere warm with indirect sunlight like a north or west facing window. Avoid putting somewhere with a cool air draft and mist with a spray bottle weekly. Indor air pollution information British lung foundation. That site is new to me. Was introduced by a Facebook friend. Besides aloe, the easiest to grow and bug , free unlike the palm , is pothos . It needs water every couple weeks but that’s it. Palm get buggy then need to be debugged with chemical sprays. Peace Lilly doesn’t stay pretty because it develops irregular yellow margins. Easiest is pothos.